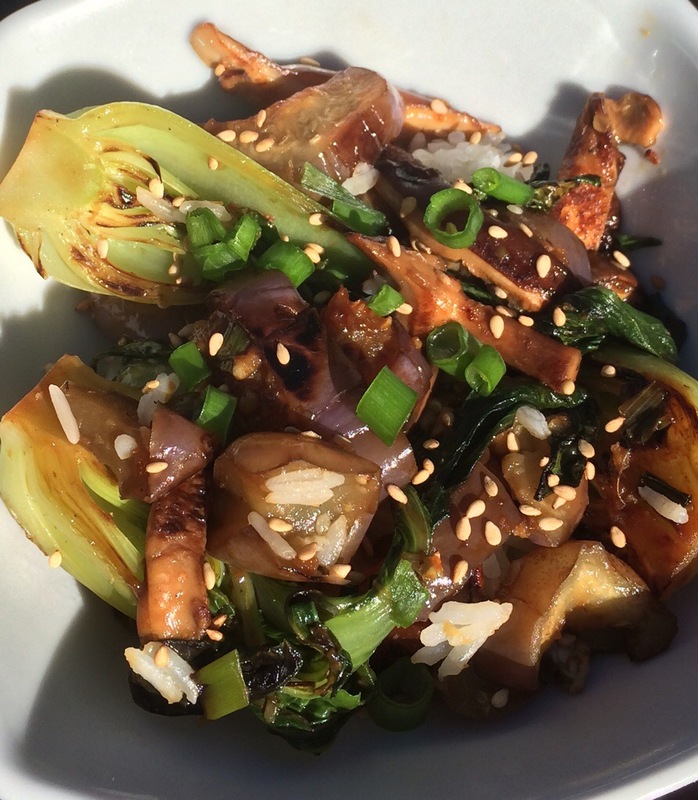 Last week I wrote about a cabbage stir fry I made with button mushrooms. Today the ingredients became even more asian. 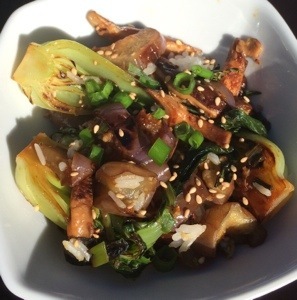 I incorporated chinese cabbage (bok choy), shiitake mushrooms, and japanese eggplants. I love cooking with japanese eggplants and baby bok choy because their smaller size gives them so much more flavor! One cup of bok choy gives you about 100% of your daily vitamin A needs, and about 66% of your daily vitamin C.
The word bok choy originated from the Chinese word for “soup spoon” because of the shape of its leaves. Uncooked eggplants may contain a toxin called solanine that inhibits calcium absorption. Traditionally, raw eggplants have been used to treat scorpion bites and help those suffering from frostbite. >>Sauté chopped scallion and ginger in oil. Add vegetables. Once browned add tamari, rice vinegar, and ginger. Serve over rice and top with sesame seeds and fresh scallions. Apparently yesterday was national peanut butter and jelly day. How could I miss such a holiday?! 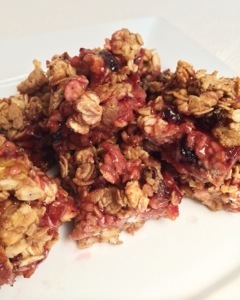 Well, since I eat peanut butter and jelly every day (in one way or another) I wasn’t too surprised when I found myself making these PB&J bars anyways. What I actually did was use up ALL the ‘leftover’ ingredients I could find. 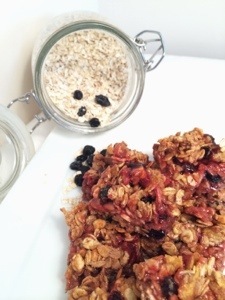 This includes: half a frozen pear from this recipe, the rest of the blueberry muesli from this recipe, and some blueberry jam that’s been sitting in our pantry untouched. Be sure to read the substitution notes. As I said, I was trying to use up old ingredients but you can use more generic pantry staples. >> Preheat oven to 350F. Add peanut butter, pear sauce, and beaten egg to the muesli. Line a 8×4 loaf pan with tin foil for easy removal. Press about 3/4 of mixture into the pan firmly. Spread jam on top. Firmly press remaining mixture bits on top. Bake for about 20 minutes. Let cool before cutting into 8 bars. **I made this by placing 1/2 chopped frozen pear in a pan with some water, cinnamon, nutmeg, ground cloves and letting simmer until soft. Then I blended into a puree. Alt. 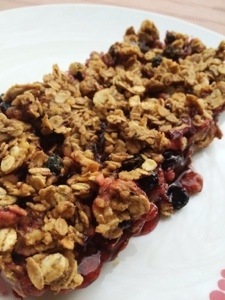 use 1/4 cup applesauce or other fruit butter.